Flexible seals for glass provides internal as well as external secure grip to avoid risk of spillage while opening or closing glass stoppered chemical containers, offers convenience of drawing or injecting small quantity of samples using syringe and needle. For stronger chemicals options of fluro polymer septa and for repeat autoclaving in sterile applications option of silicone rubber available are B14, B19, B24, B29. 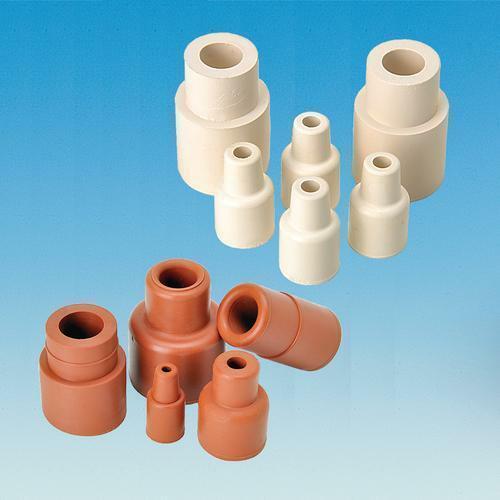 Silicone septa for fermentation and autoclaves are available.